Don’t forget to scroll all the way to the bottom of the post for a fabulous giveaway from the Soom sisters! But it was all good because 20 minutes after that he made me coffee (all by himself!) and brought it up to me so I could drink it in bed. That kid is a keeper, I’m telling ya. Now that I know he can do that, you better believe I plan on exploiting it to the fullest. We all had brunch together and it was so nice ( 🙂 mimosas! 🙂 ), but before we did that I just had to take advantage of the utterly spectacular weather, and the rare occasion that none of us had stains on our shirts. So I whipped out the ol’ tripod and snapped as many pics as my wiggly 5 year old could endure. So here we are, beginning a new week, and I’m so excited to show you these fabulous cookies today, because, a) they are outrageous! and b) the star ingredient is a fabulous new product I only recently discovered. 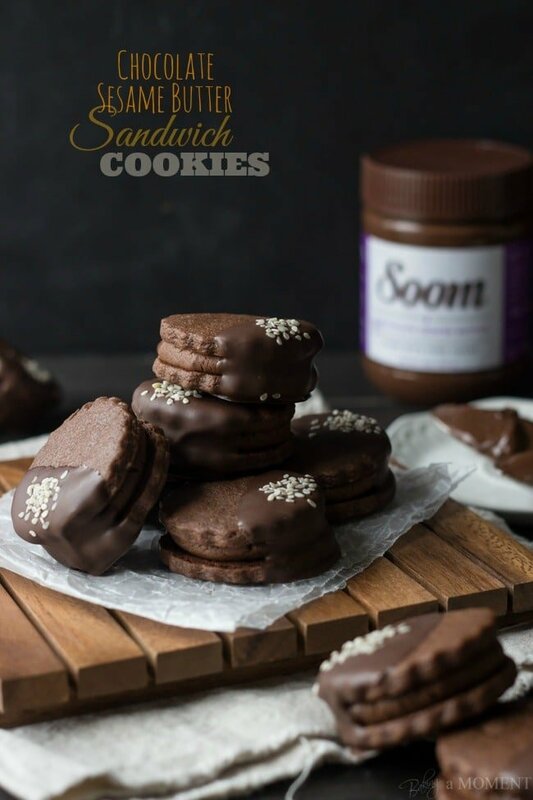 It’s Soom Chocolate Sesame Butter! Have you heard about it yet? It’s naturally gluten-free, vegan, certified kosher and non-GMO. It’s made from the highest quality, Ethiopian white Humera sesame seeds. 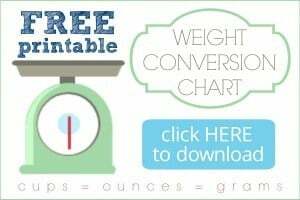 It’s way lower in sugar than most other chocolate spreads (only 7 grams of sugar, plus 4 grams of protein and 15% of your daily iron). It’s a local Philadelphia company (<–LOVE that! ), started by three sisters. And it’s got a great, super nutty, deep chocolate-y flavor. Shelby, Jackie and Amy were kind enough to send me a jar, and I just fell head over heels for the stuff. It is so good. It’s soooorta like Nutella, but less sweet (which is a plus, in my opinion). Also it’s very nutty, but not in a hazelnutty kind of way. More in a peanutty kind of way. You know how when you make a peanut dressing for noodles or whatever, you add toasted sesame oil, but it adds an even peanuttier taste? It’s like that. Sesame, all the way, but a little peanutty tasting. There’s no peanut in it, in case I’ve totally confused you by now. In fact, there’s no nut of any kind, which is why I’m thinking it would make a great substitute for families with tree nut allergies. I made it into cookies! 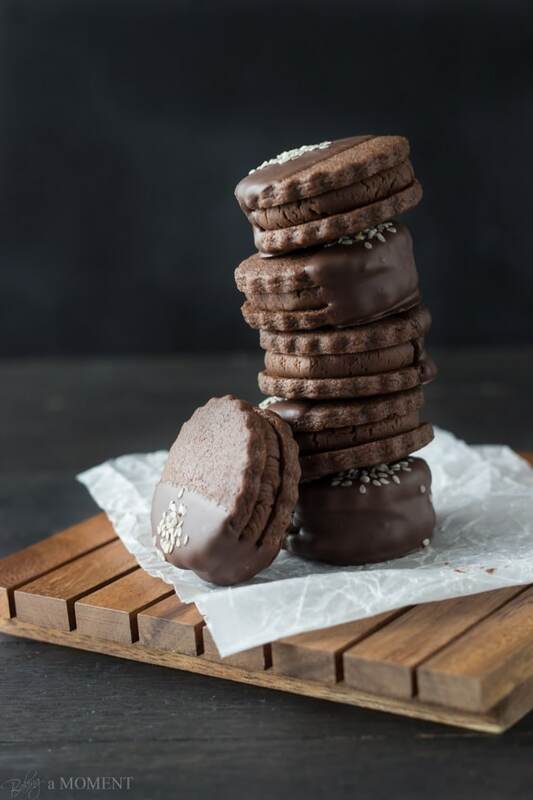 And then I sandwiched the cookies around a creamy chocolate sesame buttercream filling. And then I dipped them in dark chocolate. And then I sprinkled them with sesame seeds. Because I just. can’t. stop. I don’t know what it is with these cookies, they just keep jumping into my mouth. Soon they will be all gone. And I will need to buy more chocolate sesame butter so’s I can make more. Or, you can have it shipped to you from Amazon! about 2 tablespoons white sesame seeds, for garnish. Place the butter, chocolate sesame butter, and brown sugar in a large mixing bowl, and mix on low speed until smooth. Add the egg, and stir until well blended. Add the flour, cornstarch, cocoa, and salt, and mix until the dough pulls away from the sides of the bowl. Place some of the dough between 2 sheets of parchment paper, and roll to a thickness of ¼ inch (I use rolling pin rings to achieve a uniform thickness). Cut cookies out with a 2 inch fluted circle cookie cutter, and transfer to a parchment-lined baking sheet. Bake for 8 minutes. Cool completely before filling. Combine the butter and chocolate sesame butter in a large mixing bowl and mix until smooth. Add the powdered sugar and vanilla, and beat until completely incorporated. Place about a tablespoon of filling on the back side of one cookie, and sandwich with another cookie. Melt the dark chocolate melting wafers according to the directions on the package, and dip half the cookie. Set on a parchment-lined baking sheet, and sprinkle with a pinch of sesame seeds. Cool completely. PS- I’m heading to Miami (woo-hoo!) on Thursday for the BlogHer Food conference. I can’t wait! Obvs, I’m going to be busy packing, traveling, schmoozing, traveling, and unpacking for the next several days. I’ll do my best to keep up with ya, but please go easy on me if I fall behind on answering comments and stuff like that. I promise to make it up to you with one more fabulous giveaway (!) before the week’s over! These are beautiful and look delicious! I have to try this sesame butter now. These cookies were such a creative way to use it! oh I would love to try this chocolate sesame butter. . yumm!! and as always, the cookies look amazing!!! see you soon!!! woot woot!!! These are amazing Allie! 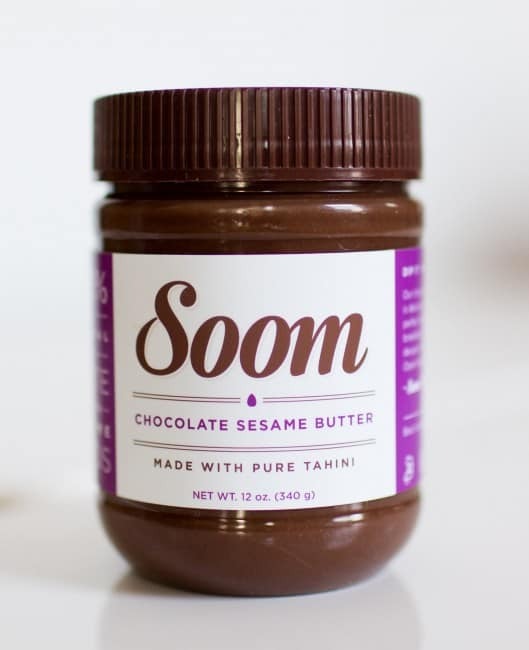 Love the chocolate sesame butter and can’t wait to try that. Sounds delicious! Glad you had a nice Mother’s Day. Thanks Matt and I hope you guys did too! Hope you get a chance to try the sesame butter- it’s a fabulous dessert ingredient! Never heard of chocolate sesame butter before! This is a new ingredient for me. You learn everyday. 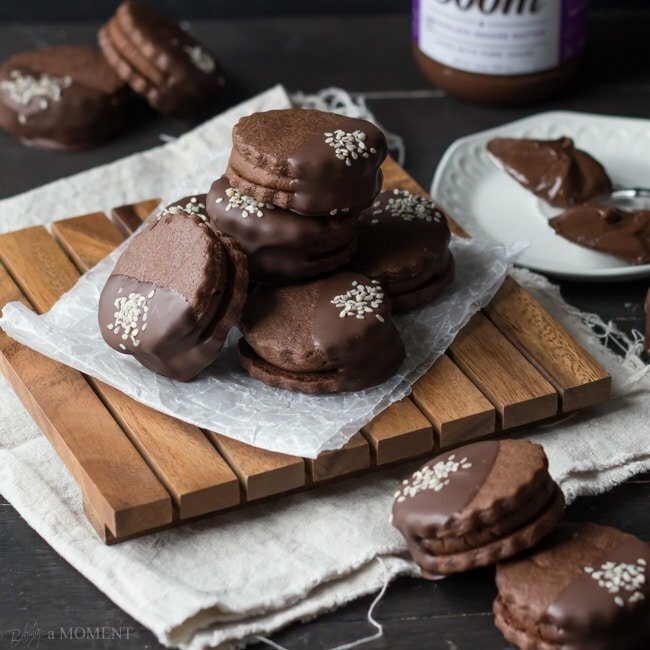 These are some of the most beautiful cookies (and photos), Allie! I haven’t heard of the chocolate sesame butter, but it sounds delicious. Looks like you had a wonderful Mother’s Day (mimosas…yum! 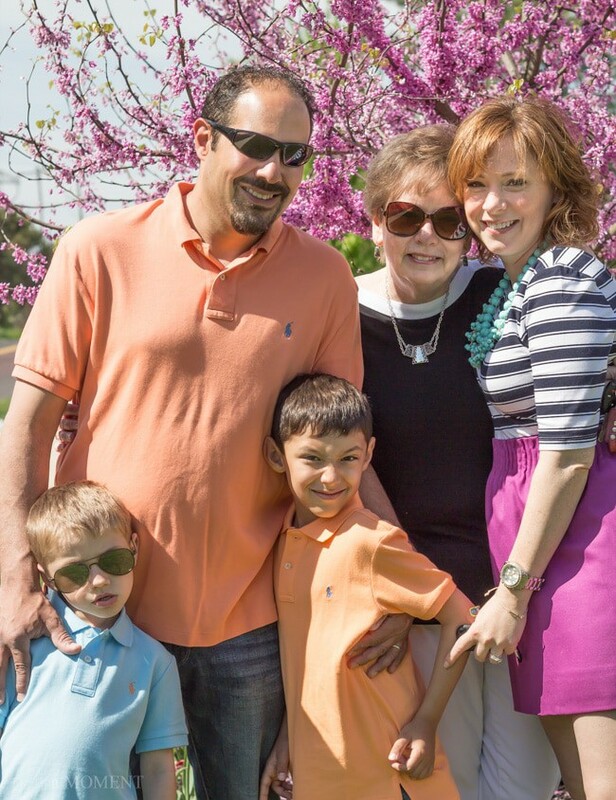 ), and I love the pic of you with your family. Have a great day! Thanks Marcie! I hadn’t heard of the product before either, it was totally new to me, but I really liked it! It tasted like pb + cocoa, not too sweet. It was a perfect ingredient for cookies. Thanks for all the sweet compliments, hope you’re having a fun week, dear! Oooh these cookies look lovely. I have never heard of Soom before. I’m intrigued though by the combo of chocolate and tahini. You are so pretty, Allie! LOVE that skirt 🙂 And your little guy sounds a lot like the kiddos at our house … sleeping in is a foreign concept! These cookies would be jumping into my mouth, too. Everything about them sounds so good! I’ve never heard of this nut butter before, but I’m quickly becoming obsessed … your photos have a way of doing that! Thanks for the giveaway! Your cookies look fabulous! And Soom needs to come up to NY, that’s where it’s at! 🙂 Can’t wait to see you in MIA (in just 2 DAYS! Ahhh!). Thanks so much, Samina! I’m so happy you liked the post. Hopefully Soom makes it’s way over to your part of the world- it’s a fabulous ingredient! Thank you so much Jessica! I loved that extra hit of chocolate that dipping them gave. Hope you’re having a great week, sweetie! I’m so excited to finally see your family. Awesome picture! Hope you had a wonderful Mother’s Day Allie! These cookies are perfect. They have chocolate, right? That makes them perfect. These cookies are so pretty!! 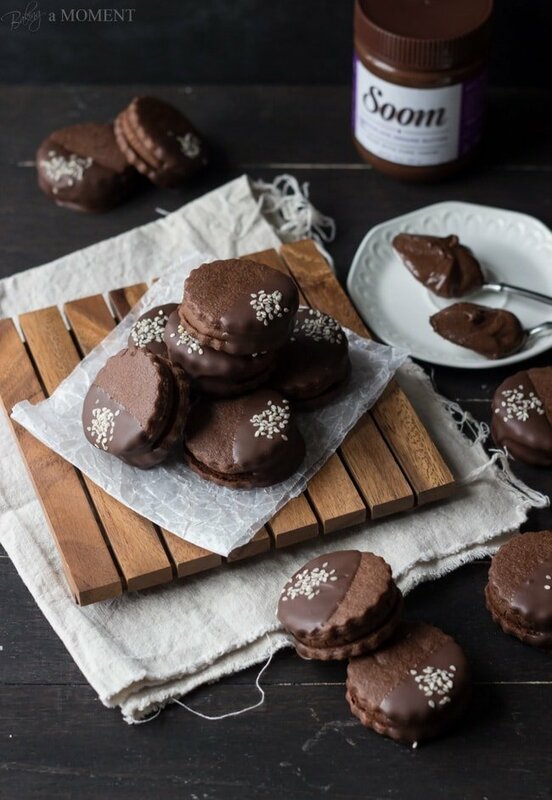 This chocolate sesame butters sounds delicious. I’ll just have to buy me one from Amazon since none of my stores are listed. PS: It’s so great you are supporting your fellow PA folks!! PSS: Your family is stinking cute!! PSSS (is that even a thing? ): Love that outfit 🙂 And have fun at BlogHer! These cookies look AMAZING! I wish I could jump into my screen and grab 1 or 5! Ha ha, thanks, Tina! Ya, there’s just never quite as much sleep as I’d like, but I guess I’m used to that by now 😉 Thanks for the sweet comment! Whaaat! I haven’t seen that sesame butter. I’ve even been looking for a good, sweet sesame paste. Seriously though, these cookies look absolutely divine! Thank you so much for inviting me Stephanie! And I’m so sorry for being late in my reply. I’ve been traveling for the last 5 days and have fallen so behind on my comments! My apologies. I will try to link up this week! I’ve never tried sesame butter – I hope I win!!! These cookies look so fabulous. Your family is beautiful and your 7 year old sounds like such a sweetie!! Wow! 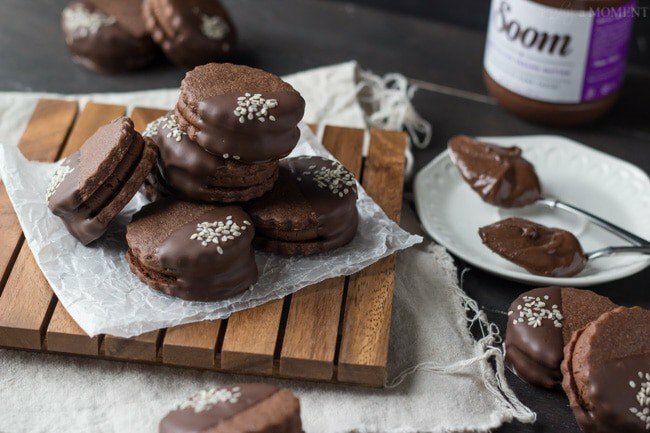 Chocolate sesame butter looks amazing and perfect in these cookies! Oh I am so buying some of that sweet looking chocolate sesame butter off of Amazon. Yeeesh, those cookies look so scrumptious! It’s almost like an Oreo! I l-o-v-e that you sprinkle sesame seeds on the top. It just looks so cute! Honestly, those naughty cookies. Fancy keep jumping into your mouth like that! I LOVE tahini and have brought a big ‘bucket’ of it back from Greece with me. You’ve got me thinking now that I might be able to make my own chocolate-tahini butter. And then of course I would make these cookies with it! Good golly, these bikkies look amazing! I have never tried sesame butter, but I think now that I must! I never thought of subbing tahini for nut butters – what a brilliant idea! Sesame and chocolate together would be so delicious. I just know it, even though I’ve never had the pleasure of trying one of these cookies. Obviously, though, I have to remedy that soon. By the way, these photos are exceptionally beautiful! Pinning! Thank you so much for the pin, Nora, and for the sweet compliments! I loved the choco-sesame combo, it was a lot like a reese’s but less sweet. Thanks so much for the comment, dear! Hi Allie! I’m so glad to discover this recipe– can’t wait to try it out. 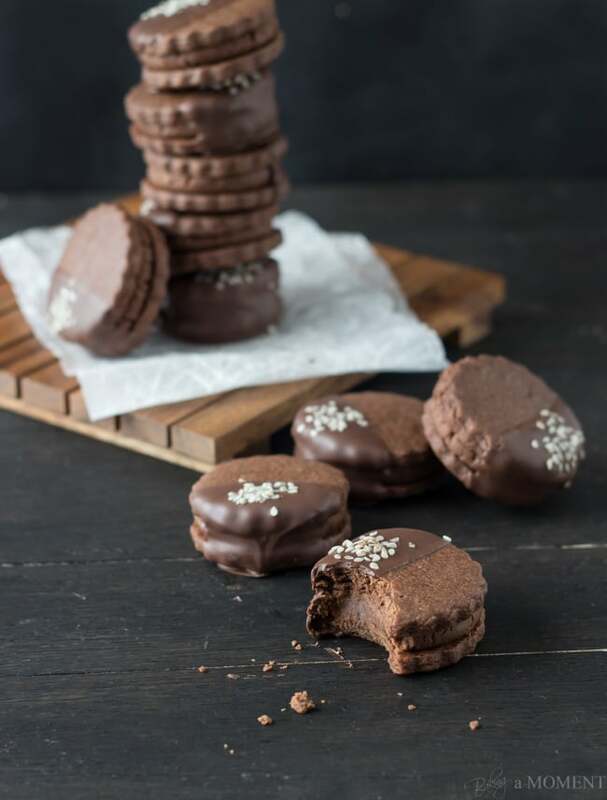 🙂 Is there any reason not to use regular chocolate baking wafers (couverture) rather than the “chocolate melting wafers”? Thanks! Hey Dafna! I’m so glad you like this recipe- it’s an oldie but a goodie! To answer your question: none at all! You can use any kind of chocolate you like. Thanks so much and I hope you enjoy!